for $156,900 with 3 bedrooms and 2 full baths. This 1,767 square foot home was built in 1871 on a lot size of 9,600. 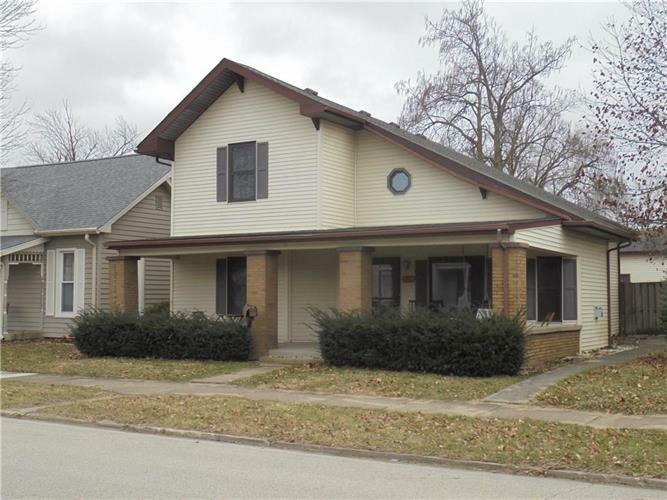 Spacious 3 bedroom 2 full bath home in the heart of Greensburg just a few blocks from the square. The home features a large kitchen with eat in breakfast bar, master bedroom on the main and a potential second master bedroom upstairs; both with walk in closets. New vinyl windows, sliding patio door, new roof and attic insulation in 2 . The family room features a vaulted ceiling and efficient gas log fireplace. Large 3 car detached garage with a separate workshop. Fully fenced private backyard.